Wait, it was based on a book? The book was published in 1981 and is very different in both tone and attitude to the 1988 adaptation. In the “Censored” world–the characters are darker and meaner with totally different stakes than in the movie. So between the book and movie–which did the Margos like better? Check out the link below to find out! 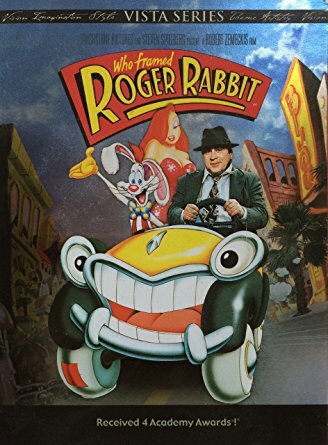 This entry was posted in Podcast, Uncategorized and tagged "Book Vs Movie Who Framed Roger Rabbit", "Gary Wolfe", "Who Framed Roger Rabbit", Book Vs. Movie podcast by brooklynfitchick. Bookmark the permalink.